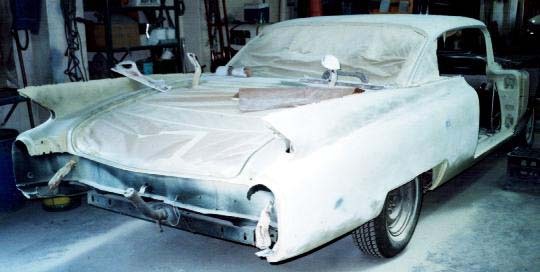 Ron's 1960 Coupe DeVille was purchased in early 1995 in a very original (tired) condition, as a restoration project. 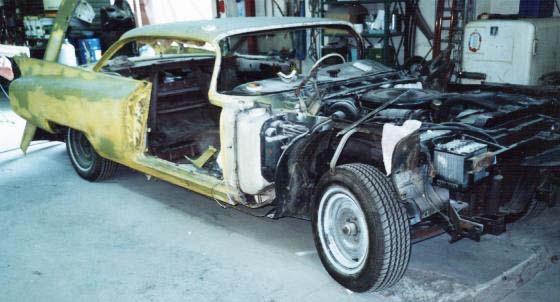 Over the next 3 years it was resurrected with new paint work (metallic purple), interior retrim (original pattern cloth) and various mechanical restorations. Much of the work was done by Ron himself. 1997... while chrome and interior work was done, the coupe's body got extra attention to get those mile-long panels straight before any paint was applied. Block sanding seemed a never ending task, a special "surf board" and rolling chair was used to ensure flatness. 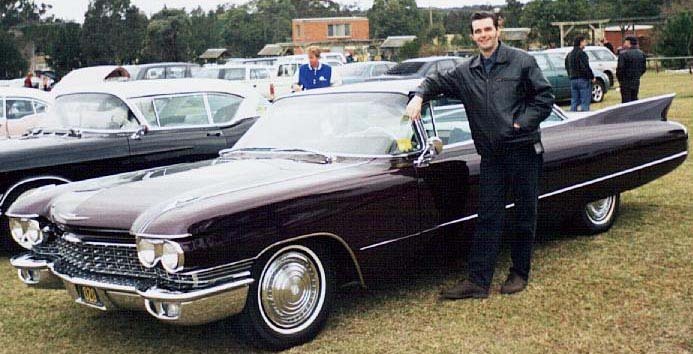 Winter 1999...a long awaited moment, being able to cruise in the 60 Coupe on a Cadillac Club Run (Train Museum at Llandillo, Sydney). Smooth lines and refined tail fins of the 1960 Cadillacs are highlighted by a top class paint finish and chrome.